Want to get colourful and fruity? This is the project for you! 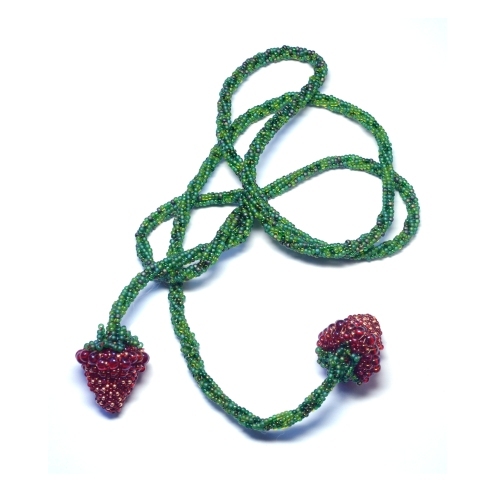 Use advanced beading to create realistic strawberries and the perfect rope to add them to. 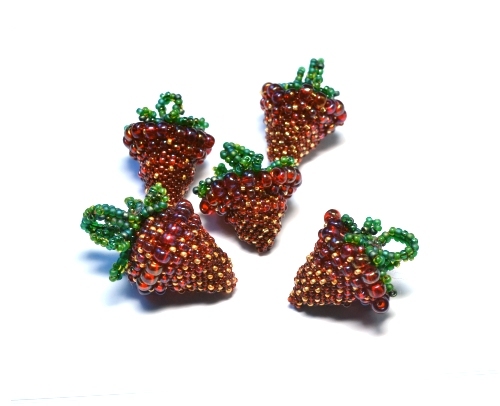 This 12-page set of instructions detail the advanced design that uses Peyote and Herringbone stitch to make 3D, realistic and self-supporting beaded strawberries plus their sepals/ leaves and herringbone stitch to create a vine to add the finishing touch. 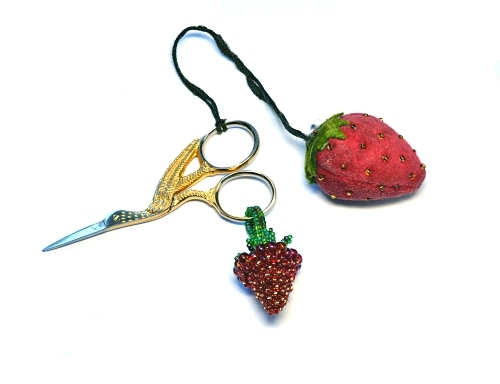 The individual strawberries are perfect for charms and pendants or can be beaded onto the rope for a bracelet, necklace or lariat. A basic knowledge of Peyote and Herringbone stitch is needed.